You are here: Home / Family Life / Simple Living / 5 Ways to Preserve Hot Peppers for Spicy Meals All Year Long! 5 Ways to Preserve Hot Peppers for Spicy Meals All Year Long! As we move into late August, the heat loving plants are thriving and I am looking for ways to preserve hot peppers. In late spring I planted many different varieties of these spicy little buggers…jalapenos, habaneros, seranos and many more. Of course, I couldn’t just plane ONE of each of these varieties…oh no! I had to plant at least two of everything I bought. Which means that as we head into late summer and early fall I now have so many hot peppers I don’t even know what to do with them all. For months I have been giving them to neighbors, cooking with them, dehydrating them and then just turning a blind eye to the full pepper plants. Every time I go out there I bring in yet another basket full of hot peppers! There are only so many recipes a person can make with hot peppers…one or two peppers really goes a long way in terms of heat! So, I decided to share a few ways to preserve hot peppers in case you were suffering from an overabundance of them like I am! This is my favorite method to preserve hot peppers. We dry literally hundreds and hundreds of them and keep them in large plastic containers with lids. We usually grind them up in our mortar and pestle to make a nice, spicy powder. The husband and boy child love everything spicy so it gets sprinkled on everything from spaghetti to macaroni and cheese. If you don’t have a mortar and pestle, you can put the dried hot peppers in a food processor. However, PLEASE use caution! You will aerosolize a lot of powder and this stuff hurts to get in your eyes and lungs. Do it outside and turn your face away when you turn the machine on. This is another incredibly easy way to preserve hot peppers. Just slice off the tops and slice the peppers in half length wise or into rings, depending on your preference. If you like a lot of heat, keep the seeds intact. Otherwise just remove the seeds and membrane after you cut them. 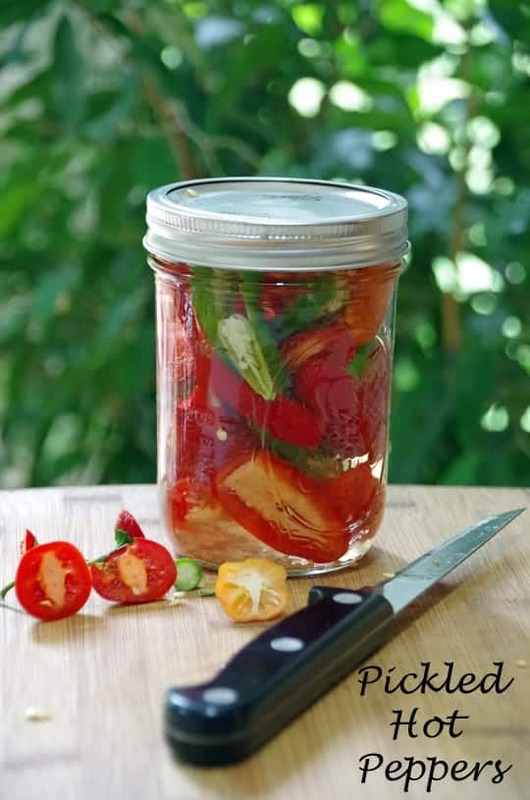 Place your sliced hot peppers into a clean mason jar. Pack it about 3/4 of the way to the top. Fill the jar with white vinegar, leaving an inch or so at the top. You can add garlic and spices if you would like. They will keep for quite a while like this. There are a ton of options when it comes to Mason jars nowadays. Check out the selection at the Mason Jars Company before you make your selection. 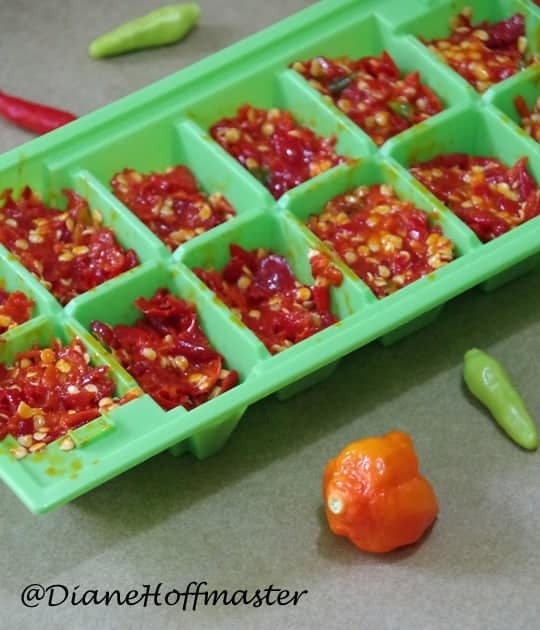 You can chop the hot peppers up and freeze them or puree them in a food processor in a bit of oil or water and place the resulting paste in ice cube trays for freezing. Again, if you like heat, just keep the seeds in the peppers before processing. You can use these in just about any recipe that you want a bit of heat in. It is especially good in chili, jambalaya, etouffe and many other southern dishes. If you have a lot of hot peppers you could do a whole bunch of cooking and then freeze the meals and dishes that you make. 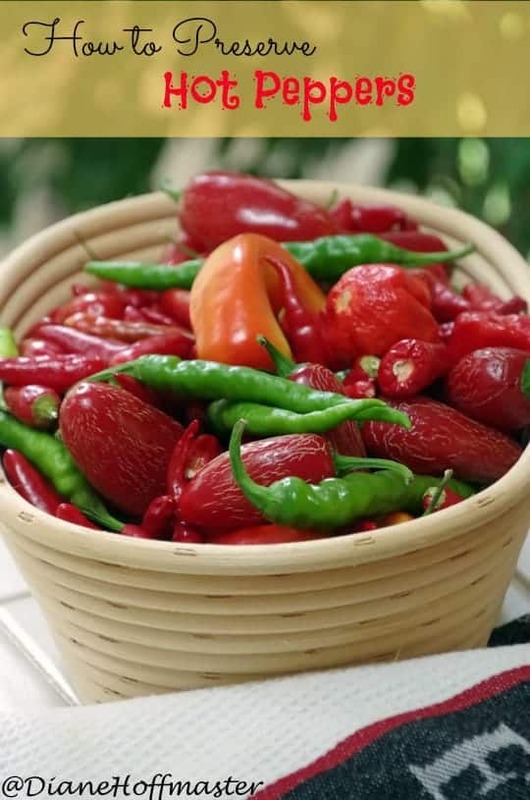 Homemade salsas, chili, chutney, and many other dishes freeze quite well and all of them need a few hot peppers. Cooking in bulk now will save you lots of work later this winter! This is a totally new idea for me but you should definitely check out Happy Mothering for the details. Fermented foods are supposedly very good for your health and this seems like a fascinating idea! If you want to get started with fermentation, check out the reCAP® Fermenter. It is an easy, waterless airlock set that ferments and stores culinary creations that are delicious and good for your health. There are a ton of creative ways to use hot peppers and one plant can yield quite a bit! If you have extras you can try your hand at salt curing hot peppers or try one of the methods I mentioned above to preserve hot peppers for use throughout the entire year. What’s your favorite way to use hot peppers? I really like the freezing idea, I could see myself using these preserved peppers to cool with all year round. I especially like that this method gets all of the cleaning and processing out of the way up front. We are big hot pepper fans over here-although our garden didn't produce many this year. Thanks for the reminder that I need to add more fermented foods to my diet! Great ideas. 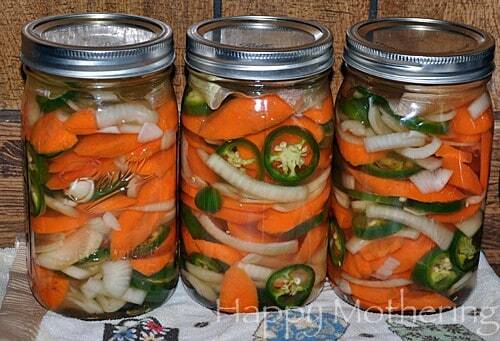 I just starting fermenting this summer, so I think I'll be trying that w/some of our peppers! Good luck! Let me know how it goes...I haven't tried any fermenting yet!